Claire Foy took on the leading role of Queen Elizabeth II in the first two seasons of Netflix original series 'The Crown'. The conversation surrounding the gender pay gap is one that rumbles on, with recent reports exposing how those at Netflix had paid Matt Smith more for his role as Prince Phillip in 'The Crown' than Claire Foy, who had taken on the lead role of Queen Elizabeth II. So much so, that producers have now stepped out and said that in future seasons, no actor or actress would be paid as much as the talent stepping into Queen Elizabeth's shoes. Those words were likely a kick in the teeth of Foy however, as she's stepped away from the series following her two seasons. 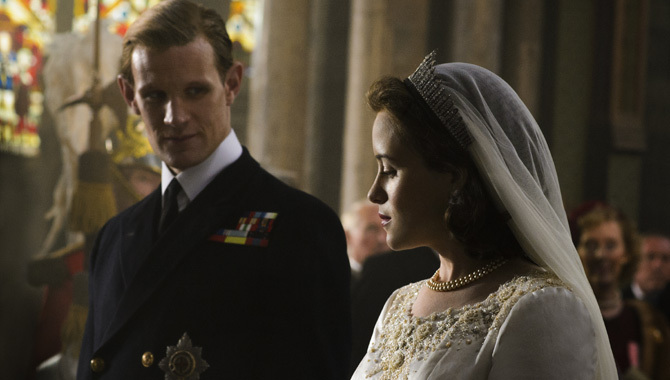 Those working on 'The Crown' have been open about how they'll be using a time jump every couple of seasons, bringing on a whole new cast for the show as the age of the characters changes dramatically. Foy spoke about her initial concerns about the popularity of 'The Crown' before season one came out. Claire Foy has revealed that she initially had doubts over whether ‘The Crown’ would be a success, and admitted that she and the rest of the show’s cast were taken aback when it proved to be so popular. 33 year old Foy won Screen Actors Guild and Golden Globe awards for her portrayal of the young Queen Elizabeth II in ‘The Crown’ when it debuted on Netflix in 2016. Now, ahead of its return to the streaming service for its second season, its star has revealed that many of the cast doubted whether a drama about the “posh and privileged” Windsors would catch on at all. “The first series was some sort of wonderful experiment; none of us knew if it would be a success, none of us knew if people would take these characters, who are incredibly posh and privileged, to their hearts. There was a huge risk involved,” she told the Evening Standard. Viewers left divided over the awkward interview. It's an excellent thing that society is now sticking up for the rights of women more than ever before, lambasting powerful figures for their objectification of females, but did people go too far when they criticised Adam Sandler for touching Claire Foy's knee during an interview? The pair appeared on 'The Graham Norton Show' to discuss their respective acting ventures - Adam's 'The Meyerowitz Stories' and Claire's 'The Crown' - but while Adam was relating a story about his mother at the Golden Globes, there was an awkward exchange where he rested a hand on Claire's knee and she had to gesture him to remove it. The star has known "for a long time" that Colman would be taking over her role. Earlier this week, it was revealed that Claire Foy would be leaving her role as Queen Elizabeth II in Netflix original series 'The Crown', making way for 'Broadchurch' star Olivia Colman to take over the leading role at the end of the forthcoming season. Fans of the show have known for quite a while that time jumps will take place every so often to help propel the story forward, with changes in the leading cast being made to ensure that the jump is a realistic one and something that has a prominent mix-up on screen. Colman is being tipped to replace Claire Foy in the upcoming third series. The producers of smash Netflix hit ‘The Crown’ are poised to choose Olivia Colman as the replacement for the departing Claire Foy for the upcoming third and fourth series, it has been widely reported. The acclaimed ‘Broadchurch’ and ‘The Night Manager’ star, 43, is to step into the role of Queen Elizabeth II in the Netflix series for its third season, as the narrative moves closer to the present and the character of the Queen requires an older actor. ‘The Crown’ is a dramatisation of the Queen’s engagement to Prince Philip and then telling the story of her reign, and the third and fourth series are set after 1963. Colman is so far the only confirmed cast member for the new series, but Matt Smith, who plays Prince Philip, is also set to be replaced with an older actor. While this biopic has the standard sumptuous production values of a British period drama, it's also a lot more complex than expected. For his directing debut, Andy Serkis recounts the life of a man who is so genuinely inspirational that he never needs to crank up the sentimentality. Characters burst with personality, and the events unfold with some unexpected complications that make the movie strikingly edgy. It also, of course, looks gorgeous. 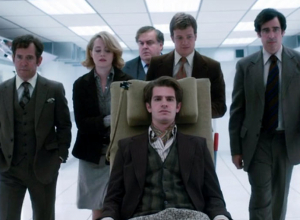 This is the story of Robin Cavendish (Andrew Garfield), who travels to Kenya in 1958 with his pregnant wife Diana (Claire Foy) on tea-plantation business and is stricken with polio, paralysed from the neck down and needing a ventilator to breathe. They move back to England, where Robin gets increasingly annoyed by his life in hospital. So he convinces Diana to take him home, against the doctors' advice, and gets his inventor pal Teddy (Hugh Bonneville) to design a chair with a built-in respirator so he can get out and about. This is a revolution for him, and he becomes an advocate in helping severely disabled people like him find independence from hospital care so they can life their lives. Robin Cavendish seems to have everything. He is handsome, educated, extraordinarily intelligent and has a loyal wife named Diana and a baby son named Jonathan. But disaster strikes during a trip to Kenya in 1958 and he is struck down with polio, rendering him unable to move any of his limbs or even breathe by himself. At just 28, he believes his life to be over as he is flown back to England only to lie in another hospital bed on a respirator. But it is his wife who encourages him to keep on living. She removes him from hospital and returns him to the comfort of his own home, while his Oxford graduate friend Teddy Hall begins work on a special wheelchair with a mobile respirator which would allow Robin to travel. His long-term survival exceeds all doctors' expectations, and far from his life being over, he becomes a staunch activist for disabled people and helps in the development of numerous devices that would go on to improve the quality of life of responauts (as such people as him are dubbed) a thousand-fold. 'Breathe' is a romantic biopic based on the life of the real Robin Cavendish - a man who did extraordinary things with a diagnosis that would have killed most people within a few years - and his fiercely faithful wife Diana who nursed and encouraged him. It has been directed by accomplished actor Andy Serkis (star of 'Star Wars: The Force Awakens', 'Rise of the Planet of the Apes' and 'Lord of the Rings') in his directorial debut, and written by the Academy Award nominated William Nicholson ('Gladiator', 'Les Miserables'). Serkis has lately been directing his second film, 'Jungle Book', which is due out in 2018.